Everyone want to have front yard curb appeal. It makes you smile to see a nice landscape. You also feel proud when people visit your home, or even just drive or walk by. 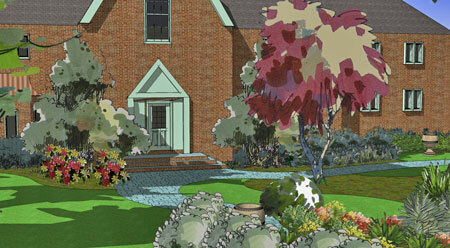 Here are three things that will give your landscaping the best first impression. Trees here lead you to focus on the house. There is a reason why many pieces of artwork have frames around them. They emphasize the picture. The same is true for landscaping. Although your home is just part of the big picture, it is an important part. If it has nothing on the ends, it just falls flat. Trees are the frame! You can use any type of tree or even large shrubs at the ends of your house (the corners) as long as the size fits and they are placed correctly. They must be pulled out far enough to allow room for growth. Have you ever noticed a landscape where the plants are all the same height and low? An interesting landscape design with front yard curb appeal is made up of many things, but height is one of the important design elements. Not only should you add height at your house corners, but also add a plant of substance near your front door. A small tree or a large shrub will work. Place it on the outside of your walk at the corner as your walk turns towards your front door. Other places to consider adding tall trees are at your property borders or out in the lawn. If you have a large front yard, you can either create a planting bed or just plant some trees right in the lawn. Some properties are constricted in this area. For example, you might have an existing front yard walkway that is close to your house with a narrow foundation planting bed. In this case, consider planting on the other side of your walkway to bring plantings closer to the street. This has the added advantage of minimizing your lawn while adding additional front yard curb appeal...more plants closer to the street! If you have the option of a wider front bed along your house, layer it. Start with taller plants near the house and use lower ones closer to the walkway. Use evergreens as the taller, first layer. 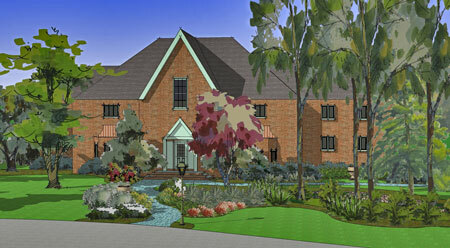 Add a mixture of shrubs and perennials as the second layer, or use all perennials for lots of color. For a third layer, add evergreen or perennial ground cover or even very low shrubs (such as Juniper). 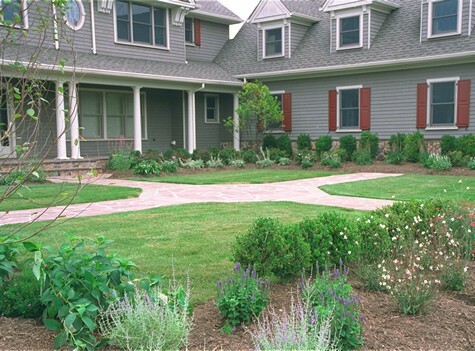 Following these curb appeal ideas, your front yard will be much more attractive. Some other landscaping tips are to add a sculpture, potted plants, a bench and front sitting area, and a house trellis with vines. 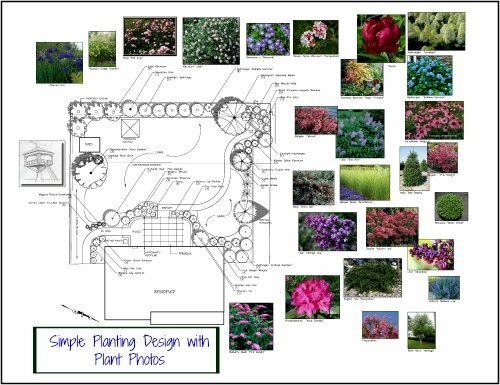 Learn about a lot more great tips on how to create a front yard design that will really be unique and special! Confused about front foundation plants? Are you not sure where to place your plants? Do you want some low maintenance colorful perennials? 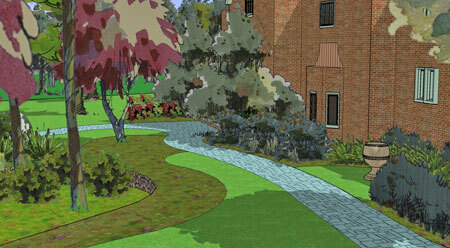 Ask Us About Creating a Custom Landscape Design For You! Click here for information and sample designs!